My High School Self, My Vampire Boyfriend | Just Me With . . .
You are free now? Stay strong and discover yourself in all the wonderful ways open to you! Wow…. i read, your story. And, the entire time in the back of my mind….i was thinking, ‘how does this relate to Twilight?’ & When you explained it, at the end…. I completely understood…. And, i hope after all you’ve been through. You are better now. & i hope you have a great time, discovering yourself…. and Taking the all the oppurtunities, that are given to you. Because, i may not relate to the part of your story, of being in such a distuctive relationship… but, i can relate to the rest. & i know it isn’t, easy. & i believe Love, & Beauty… Life, & Relationships…. Are all undefined. We just have to find out, know… and follow our own standards. & i believe Bella choose what she wanted…. Because, thats how she wanted to define her life. And thats what she believed. And, followed through with it. This is a really moving post. Thanks for sharing! Reading it reminded me a bit of what might have happened if I had stayed with my first high school boyfriend. His personality was different – but he was super intense & basically was talking about us being together forever – which, as a 16 year old completely freaked me out & eventually turned me off. I’m glad that I knew at the time that I still had a lot of living to do & walked away. Wow! I just watched the video. I LOVE IT!!! 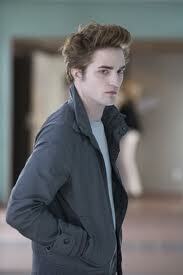 I was introduced into the Twilight thing because I have girls. I probably drive them crazy because I keep pointing out “Where is the fun? A girl should have fun with her boyfriend!” And the safety issue you pointed out is so true — it’s like this girl could get killed but that’s okay because she’s in love. Whoa. Most of my kids are Team Jacob. But either way, I’m thinking, okay, what about getting out of high school and learning about different types/groups of people — go to college, join a sorority, get a job at the beach and share a house with 10 other girls, backpack through Europe, join the peace corp, move to New York and waitress, learn to play the piano like Edward instead of watching him, write a book about the freaky kids in your high school and make a million, whatever. Don’t get me started. Anyway, thanks for reading and for the comment. I think the two of us together should embark on a middle school/high school tour promoting our platform, “You don’t need a boy”! This is exactly what I am constantly saying to my daughter, almost 15, about to be a freshman, when we talk about her peers and their dating relationships/complexities. Of course, given my personal experience, the perspective I bring to the table is more of an “I’m on high alert for what goes on backstage in this relationship”. 20 plus years of domestic violence will channel your inner feminist like nothing else! I haven’t seen the Twilight stuff nor have I read it – I get nothing from vampires. BUT – I watched the you tube video mix of Buffy slaying Edward – and that was plenty enough to realize the underlying theme of the Twilight movies. I’m gonna go with Buffy for $500 please! Wow. I love this one too. I totally understand the codependency issue. I was raised that way and used my HS boyfriend, and every other relationship that followed as an escape when really all I was doing was letting the pattern repeat. I love that you’re anti-Twilight! I saw the photos and got it immediately. At Bella’s age I was convinced I was unlovable and gravitated toward the only boy willing to have me, consequences be damned. I tried to read the first book on recommendation a few years ago and was so annoyed by it that I tossed it about halfway through. Hugs. Just make sure you know why you love him. And don’t stop discovering things you love.